Long before Guantanamo became synonymous with al-Qaida prisoners, American injustice and hunger strikes — yes, even before it became known as a high-security prison for suspected terrorists — it was a U.S. Naval Base with a long and fascinating history. It still is! And long after the military prison is gone, the U.S. Naval Base is very likely to remain there, surrounding Guantanamo Bay, Cuba — still the oldest American outpost on foreign soil, and the only one in a communist country. Those 45 square miles of land and water are so unique and awkward for an American military installation that you would think some occasional historical perspective is necessary. Yet nowadays, we hear journalists and pundits talking about how Guantanamo "needs to be closed" — without clarifying that they are referring only to the military prison opened there in 2002, not the base establish there in 1903. We see no efforts to put Guantanamo in proper historical context, no explanation for why the United States can hold enemy prisoners within the territory of another enemy. Listening to some pundits, you could easily assume that Guantanamo was inexplicably imposed on Cuba after the terrorist attacks of Sept. 11, 2001, and that U.S. Sailors and Marines have been there only for the past decade. In the interest of clarity, you would think that some journalists would take the time or space to explain that Guantanamo has a history, and that it goes all the way back to the Spanish-American War near the end of the 19th century. You would think that someone would remind us that for the past few decades, Guantanamo has served as an escape valve for Cubans who defy minefields and shark-infested bay waters to reach the base and win their freedom from communism. 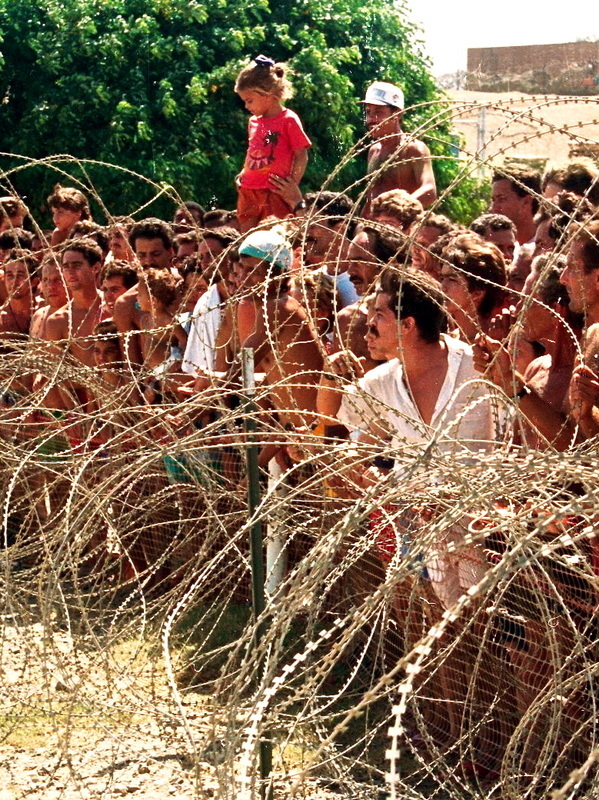 You would think that at least some pundits would remember recent history, especially the early 1990s, when Guantanamo housed tent-city detention centers for Cuban and Haitian refugees intercepted at sea while trying to reach Florida. But nah, that would be going much more in-depth than today's telegraphic news media allows. Our news is so abbreviated and condensed, so well packaged into tiny sound bites, blog spaces and even tweets, that we seldom get the full picture. For example, we hear all about how U.S. Marines are guarding the prison, but practically nothing about their other responsibility: Guarding the base's heavily mined perimeters with Cuba. Most Americans know much more about the no-man's-land between North and South Korea than the one surrounding the U.S. Naval Base at Guantanamo. Most don't know that Guantanamo is surrounded by tall watchtowers, barbed-wire fences and minefields, or that instead of keeping prisoners in, those barriers were put there to keep the Cubans and Americans apart. Some history: The Guantanamo Bay area, near the southeastern tip of Cuba, has been occupied by American forces since U.S. Marines landed there to fight the Spanish-American War in 1898. After winning the war, the U.S. Congress passed the Platt Amendment, giving the United States the legal right to intervene in Cuba's internal affairs and to establish a base at Guantanamo. When a Cuban Constituent Assembly was called in 1901, delegates were told that if they wanted the withdrawal of American troops from the rest of the island and political independence — with American supervision — they should accept the Platt Amendment. It was accepted by a one-vote margin, and the amendment became part of the Cuban Constitution. Cuba was promised ultimate sovereignty over Guantanamo. But in 1903, the United States leased the 45-square-mile bay area from Cuba for 100 years at $2,000 per year. That lease could have expired in 2003. But when Congress abolished the Platt Amendment in 1934, the lease agreement was changed to $4,085 per year — with the stipulation that it would not expire until both countries agree to its termination. However, since 1961, the year of the unsuccessful U.S.-sponsored Bay of Pigs invasion, the Cuban government has not cashed the U.S. checks because it maintains that the 1934 agreement is illegal. In 1964, the Cubans shut off the water pipes to the base, forcing the United States to build its own desalination plant. But there has been no military conflict there. The communist regime of Fidel and Raul Castro originally maintained that the lease had to expire after 100 years, dating from the 1898 Marine invasion. But 1998 came and went, and then some Cuban officials, continuing to ignore the 1934 agreement, said the United States would be forced to relinquish Guantanamo by 2003. Of course, there was little chance that the U.S. government would give up Guantanamo as a gift to an antagonistic, communist regime. But before the Bush administration turned Guantanamo into a prison for al-Qaida suspects in 2002, some U.S. military officials had acknowledged that Guantanamo had become outdated and much less strategically significant to U.S. defense. Although it was once considered an important training center for the U.S. Atlantic Fleet, the advent of long-range nuclear missiles and submarines had made Guantanamo nearly obsolete, until it was turned into a military prison for suspected Islamic enemy combatants captured abroad. Yet for the people eastern Cuba, who live far from Havana's beaches where Cuban rafters escape and sail for the Florida Keys, Guantanamo has been a gateway to freedom. And while crossing the 90-mile Florida Straits on a flimsy raft is a difficult and treacherous task, Cubans say getting into Guantanamo is like playing Russian Roulette with sharks or land mines — take your pick! If you go by land, you have to do it in the dark of night, avoid being seen from the Cuban watchtowers, and you have to crawl on your hands and knees through coils of barbed wire in the biggest minefield in the Western world. For a distance of about two city blocks, in the no-man's-land between the Cuban and U.S. fences, you have to avoid the mines and stay totally quiet as you feel the wires piercing your skin and shredding your clothes. I have met many people who have done it. No one knows how many Cubans have been killed while trying to make this journey, but we know that hundreds have been maimed and arrested by Cuban authorities after failed attempts to reach the base this way. However, the other option is jumping in the water and swimming several miles along the Cuban coastline through shark-infested Guantanamo Bay. 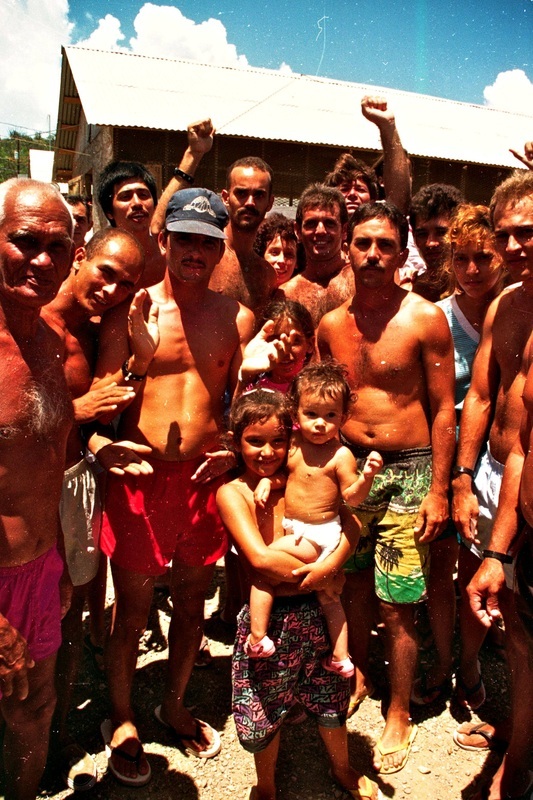 Cubans say you have to be a terrific swimmer and a huge gambler to accomplish this feat. "We didn't want anything to do with the mines," one successful swimmer told me shortly after he and his buddy were pulled out of the water by U.S. Marines in 1994. "So we decided to take our chances with the sharks." Marines told me that while Cubans trying to reach the base by land are making an illegal entry and cannot be rescued from the no-man's-land between the two fences, swimmers are covered by international search-and-rescue laws and are routinely fished out of the water. 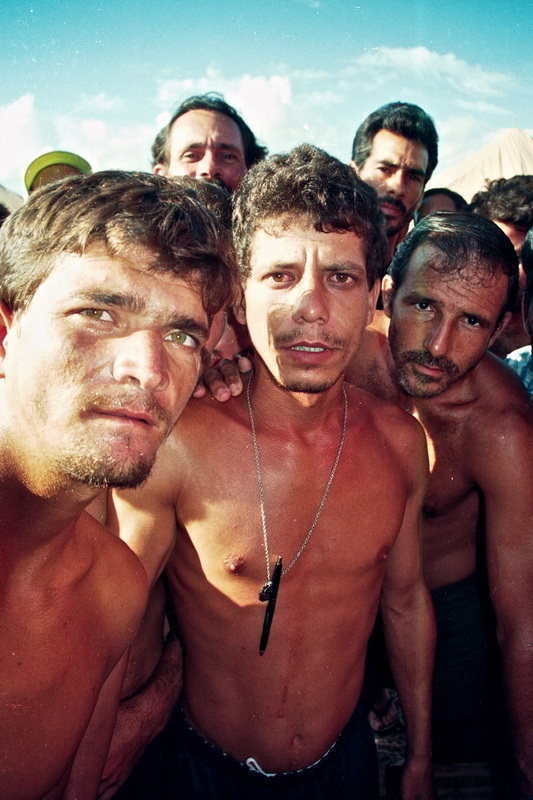 Nevertheless, whether through sharks or land mines, every year for several decades, hundreds of Cubans managed to reach the base and then a flight to Florida. Under the lease agreement with the Cuban government, Cuba is entitled to claim fugitives who escape to the base. But since the Castro regime has never recognized the agreement as valid, Cuba has never claimed anyone. 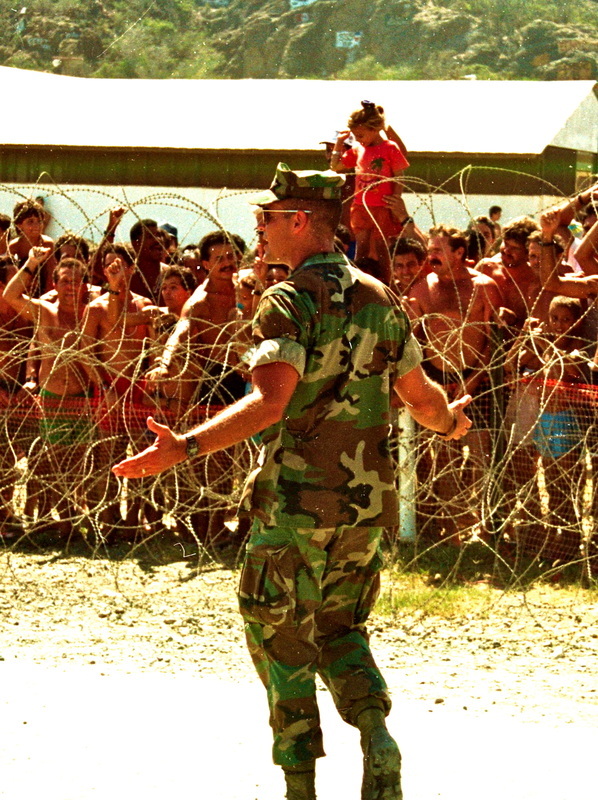 The last time I visited Guantanamo, in 1994, thousand of Cubans and Haitians were being detained in tent cities under deplorable conditions. One Cuban camp had 12 latrines for 900 men, women and children. "Libertad! Libertad! Libertad!" they chanted when they saw visiting journalists. 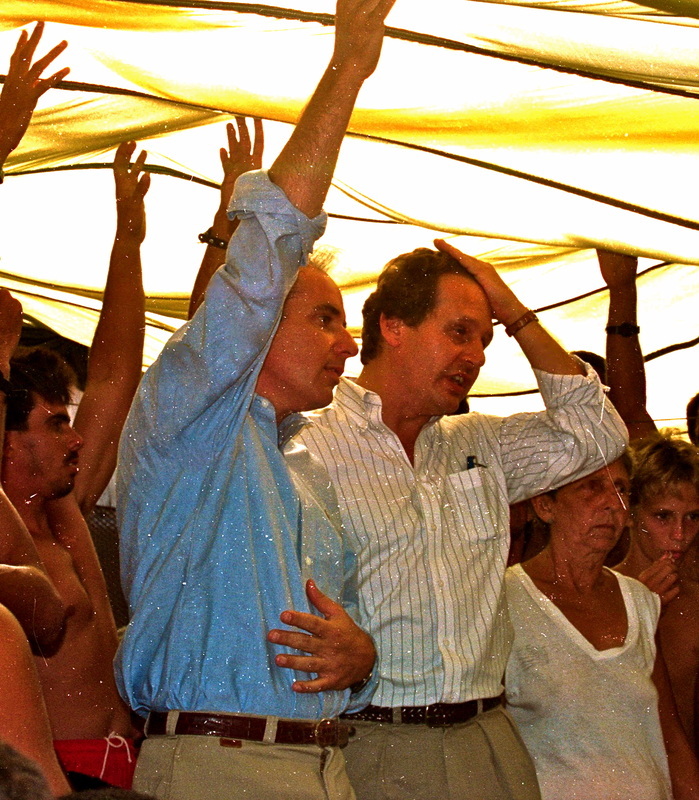 The Clinton administration had overturned the 28-year U.S. policy of granting political asylum to Cubans intercepted at sea, and as a result, some 29,000 Cuban rafters were stopped on their way to Florida and sent to Guantanamo. It was the first time refugees from a communist country were denied an opportunity to apply for political asylum after reaching U.S. authorities. It was disgraceful. Of course, the Cubans I met there were frustrated and terribly disappointed. Their lives had been put on standby — indefinitely! Their only crime had been risking their lives for freedom, and an American president with an appalling lack of compassion had shattered their American Dream. 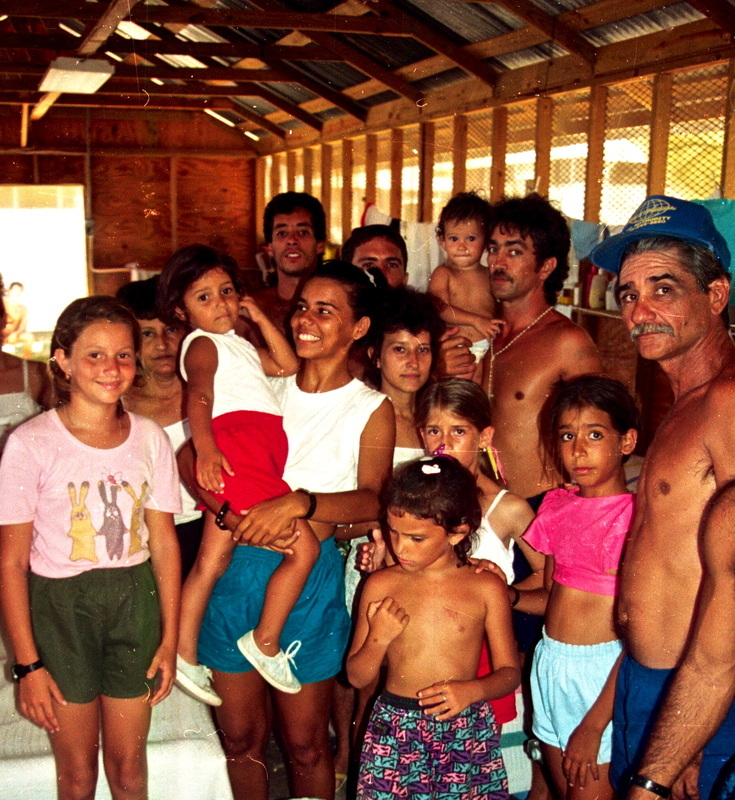 By forcing them to live in degrading refugee camps, the Clinton administration wanted the Cubans to cave in and return home. But the Cubans would not budge. Only 1,200 were repatriated, and not all voluntarily. It took the U.S. government almost a year to realize the Cubans preferred living in tent cities, behind barbed wire fences, than returning to live under the Castro dictatorship. When that chapter of Guantanamo's history finally was closed in 1996, after some refugees had spent 18 months in detention, the United States had spent $250 million (including the cost of detaining Haitians) for unnecessarily holding thousand of people who eventually were allowed to come to the U.S. mainland anyway. Yet now that President Obama is on a new campaign to convince Congress to transfer the remaining Guantanamo prisoners elsewhere, now that Guantanamo is on everyone's agenda again, can we expect journalists and political pundits to give us at least a little historical perspective? To Cuban-Americans, including many who regained their freedom there, Guantanamo means much more than a prison for al-Qaida suspects. We find it disturbing to see so much history ignored. And we also find it terribly ironic that many liberal Americans and international human rights activists are much more concerned for the current Guantanamo prisoners than they have been for the thousands of Cubans who have languished in Castro's gulags over the past half-century. Talk to former Cuban political prisoners. They will tell you that human rights should not be violated in Guantanamo or anywhere else in Cuba. But they will also tell you that compared to Castro's dungeons, where many have been shot by firing squads, tortured or forced to endure decades of degradation and atrocities, the Guantanamo prison for al-Qaida is a luxury hotel. They will tell you how they feel when they see bleeding hearts crying out for Guantanamo terrorism suspects and ignoring the atrocities against peaceful dissidents throughout Cuba. 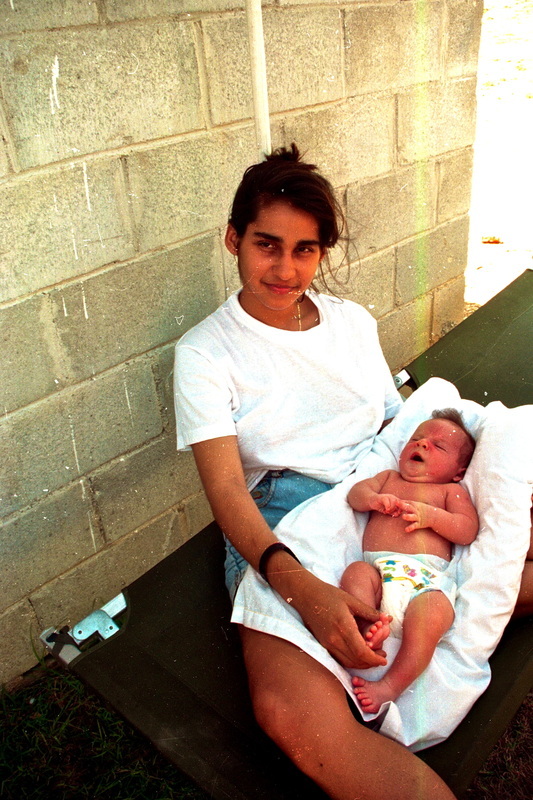 I have been to Guantanamo twice, and there is still so much more to tell. But you get my point, don't you? Guantanamo has a history, and seeing people ignore it is not only poor journalism but terribly irritating.